Pulp and Paper industry has a few selected hot-spots across the globe. Irrespective of actual positions USA, Canada, Finland, Sweden, Japan, Australia and a few other Latin American countries. Paper making and pulp sourcing has to be backed by a renowned, up to the mark and unparalleled research centre, at least one if not more. Pulp and Paper Technology shall dig into such supporting entities in the most 'Pulp and Paper' happening regions in the world. PaPRICan also extends its diligence through extensive reach via universities across Canada. The McGill Research Centre at the McGill University, Canada, University of British Columbia and Dr. Jack McKenzie Limerick Pulp and Paper Research and Education centre, University of New Brunswick are also established with facilities to work Pulp and Paper related research in collaboration with each other. Adjacent to Canada, the biggie, United States of America also sports several research entities across Universities and private firms of America. Some of those include Pulp and Paper Research Institute for Green Science at the Carnegie Mellon University, Pulp and Paper Research & Education Alliance at the University of Minnesota and Centre for the Biology and Natural Systems. Coming to Europe, it is a land of paper world leaders SCA, UPM-Kymmene, Stora Enso, Norske Skog, Metsaliitto and a few more. But, most of these giants are out of a small portion of Europe; hence this part of the world is more densely populated with biggest and oldest paper mills of the world. These juggernauts are surrounded by some of the world renowned Pulp and Paper research institutes that spread across Sweden, Norway, Finland and the Netherlands. Svenska Papper and the Nordic Pulp & Paper Research Journal from Sweden, Pulp and Paper group at Norwegian University of Science & Technology and Paper & Fiber Research Institute from Norway, University of Technology, Delft at Netherlands and KesKus Laboratorio of Finland all are behind the lights of European Pulp and Paper reign. For Asia, Australia hosts the Australian Pulp and Paper Institute as well as Japan has a Pulp and Paper research Institute working for the same. All these Research institutes and organizations work to bring out a best solution for the task they take up. 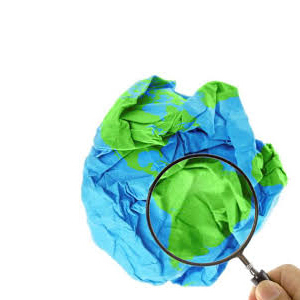 Pulp and Paper Technology shall dig more into specific research interests of all these think tanks from around the globe who create trends rather than follow. As an excerpt, here is a finding from archives of Pulp and Paper research dated back to early 2000s, Dr. Krotov from the Ukrainian Pulp and Paper Research Institute of Kiev deviced new design for a machine that can produce pulp from whole stalk hemp and other materials. Hemp is actually a cheapest, by all means, and source for best quality paper cellulose. So it can be used for best and optimum paper making. This has been crucial since its discovery but not paid a good deal of interest in recent times. There are several such issues buried and many are coming into existence. 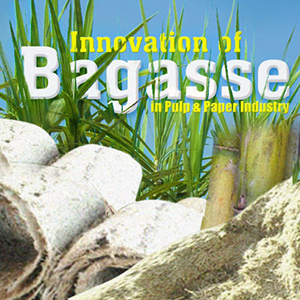 Pulp and Paper Technology shall give importance to everything that is good for Pulp and Paper industry.